Type two diabetics may have no shortage of insulin, but their muscle, brain, and liver cells sometimes develop a resistance to it, making control of blood sugar difficult. Type two diabetes also doubles the risk of cardiovascular disease when compared to non-diabetics. Cinnamon may play a role in reducing the incidence and severity of these effects. Kinase activity is the physiological key to the mechanisms that signals cells to accept insulin and lower blood sugar. Kinase is a protein enzyme that also plays a role in metabolizing fats. A University of Iowa study, published in the Journal of the American College of Nutrition, isolated a methylhydroxychalcone polymer (MHCP) from cinnamon and found it can enter cells and interact with kinase in a way that mimics insulin (1). The Iowa scientists thought at first that cinnamon’s effect might be due to the mineral chromium, a known aid for blood glucose control. They found, however, that the kitchen spice actually has very low levels of chromium. In Maryland, in a randomized, controlled study on humans, 60 diabetic patients took either one to three capsules of cinnamon daily or a placebo for 40 days. Blood sugar dropped 18 to 29% in those subjects who took cinnamon, but there was more good news. Triglycerides, a type of fat in the bloodstream that ends up stored in fat cells, fell from 23 to 30%. Triglycerides are associated with obesity and untreated diabetes. Finally, the subjects who received cinnamon also saw their LDL cholesterol drop from 7 to 27%. LDL stands for low-density lipoproteins, those tiny packages that transport fatty substances through the bloodstream into arteries and deposit it there, while HDL, or high-density lipoproteins, transport cholesterol away from arteries and back to the liver to be broken down. Cinnamon did not change HDL cholesterol. Its impact on LDL cholesterol improved the ratio of HDL to LDL; something doctors think lowers the risk of heart disease and stroke. The results of the Maryland study were published in Diabetes Care (2), the magazine of the American Diabetes Association. Researchers tried different varieties and commercial brands of cinnamon with good results. C. aromaticum, a cinnamon known as cassia, Chines, Saigon, or Korintje cinnamon, is preferred in the United States. C. verum, or Zeylanicum, Ceylon, or “true cinnamon” has a more delicate flavor and is popular in England, Europe, and Mexico. Oils in cinnamon may be toxic at high doses, but the beneficial ingredient is water-soluble, making cinnamon tea a safe choice. Researchers caution diabetics that more is not better; use sensible amounts and monitor blood glucose frequently to avoid episodes of low blood sugar that could be dangerous (3). 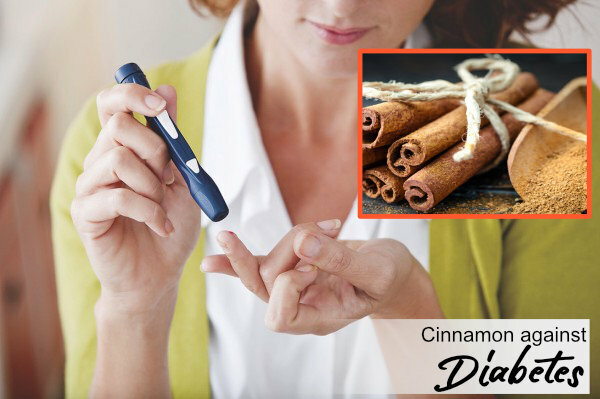 Cinnamon is not a cure for diabetes. The best strategy is careful diet and exercise as directed by a healthcare professional. However, with regular use cinnamon may reduce the need for medication and help prevent cardiovascular complications. Because contact lenses are worn directly on the eye, they can potentially cause side effects. 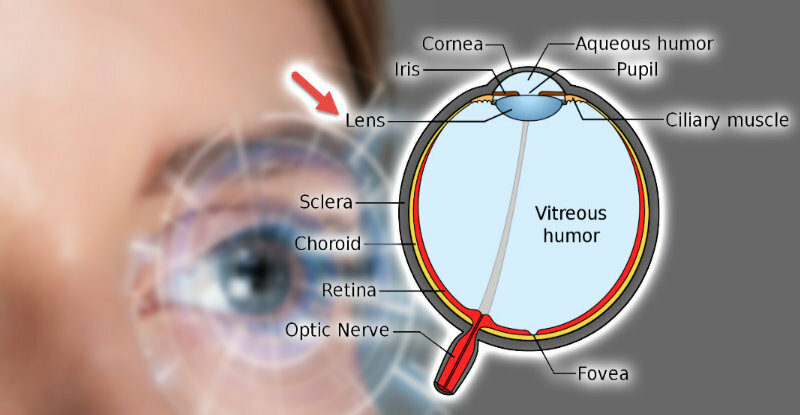 The lenses, roughly the same diameter as a person’s iris, float on a layer of tears right in front of the cornea. Contacts are not “one size fits all,” and in fact must be carefully prescribed to match not only the person’s prescription but his eye size and shape. When they are prescribed and fitted properly, contact lenses provide great vision, including peripheral vision, and they are hardly noticeable. Contact lens designs have taken advantage of new materials technology and are more comfortable to wear than ever before. Lenses are often coated or impregnated with moisturizing agents that keep the eye from drying out. Ciba Vision is a brand that uses a substance called hydrogel, a substance designed to keep the eye moist all day. Wearers report that they are extremely comfortable. But Ciba Vision isn’t the only brand of contact lenses. Acuvue, made by Johnson & Johnson, is one of the top-selling brands of contact lenses in the world. 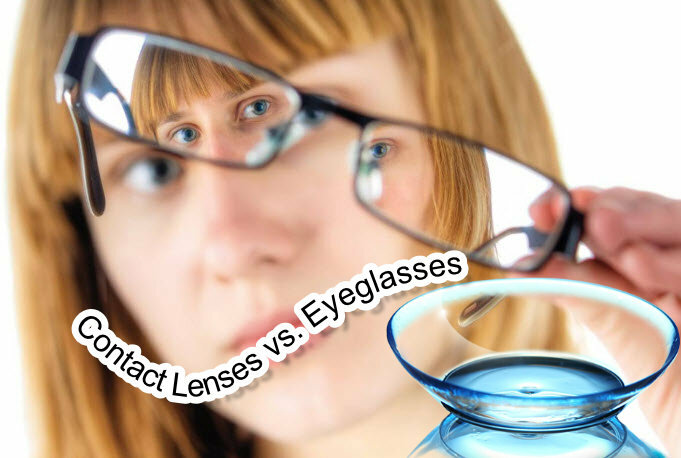 A few decades ago, the only choices in contact lenses were “hard lenses” or “soft lenses.” The vast majority of people who need vision correction can wear soft contact lenses, which are the ones most often seen in advertisements. 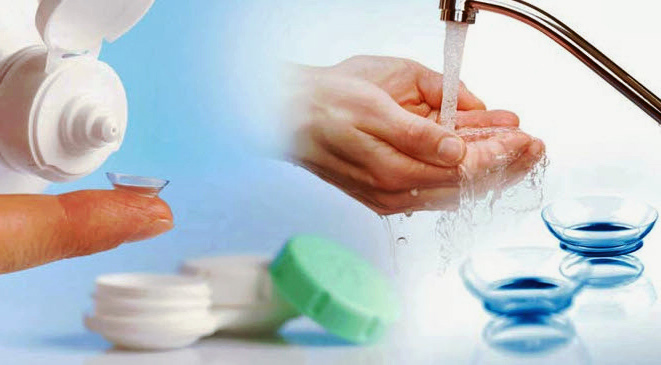 Contact lenses today are assumed to be soft lenses unless otherwise specified. These can correct nearsightedness, farsightedness, presbyopia (problems with close vision that often develops as people get older), and astigmatism. People who have very mild astigmatism can often rely on the shape of the lens itself to gently push the cornea into a more regular shape, mainly correcting mild astigmatism without having been specifically prescribed with astigmatism correction. Though the overwhelming majority of contact lenses are soft lenses, there are still some types of hard contacts available. They are made of a stiff plastic called polymethyl methacrylate, or PMMA. While they can correct vision problems that may not be manageable with soft contacts, they are the least comfortable contact lenses. There are also rigid gas-permeable lenses, which are more comfortable than PMMA lenses and can be worn overnight for up to one week. When it comes to soft contact lenses, there are several varieties, including daily wear, disposable, and one-day lenses. 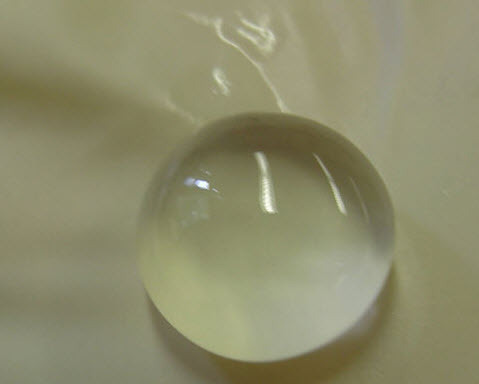 Daily wear lenses must be removed at night for cleaning and storage. They’re then put back in the next morning. While they may last for a year and are economical, they can be uncomfortable to wear for long periods of time or in dry, windy weather. With daily wear lenses, weekly enzymatic cleaning is often necessary. This is an extra step in the cleaning process that cleans protein deposits and other substances that can build up on lenses. When daily wear contacts are handled haphazardly, or when cleaning and storage instructions are not followed faithfully, contact lens side effects can include pink eye and even ulceration of the cornea. Disposable contact lenses may be designed only to be worn during waking hours or to be worn overnight. They are used for a period of one day to one month and then discarded. Lenses designed to be worn for longer than a day have to be cleaned and stored when they are taken out. One-day disposable contact lenses are considered the safest contact lenses available because the only handling they require is that of putting them in and taking them out. Contact lens side effects are rarer with disposable lenses than with daily wear lenses but can include eye irritation, pink eye, and only very rarely corneal ulceration. They must be fitted and prescribed as carefully as daily wear lenses and must still be handled with clean hands. Some contact lenses are not worn for vision correction at all, but for special effects or fashion. Colored contact lenses are made with varying degrees of tint to subtly or radically alter eye color. The lighter the wearer’s natural eye color, the less tint that is required to change eye color. People with dark eyes must use the so-called opaque contact lenses to change the color of their eyes. Though the tiny dots that make up the color are opaque, they aren’t one solid sheet of color. The circle in the center of the lenses is clear and fits over the wearer’s pupil. With opaque contact lenses, the circular area over the pupil is of a fixed diameter, and human corneas open wider or get smaller depending on the amount of ambient light available. In conditions of low light, the pupil opens widely, and the opaque portion of the lens may partly cover the outer edges of the pupil, partly obstructing vision. Wearers usually don’t find this to be much of a problem. Another contact lens side effect with opaque colored contact lenses is that they may shift slightly when the wearer blinks. This shifting may cause part of the opaque portion of the lens to block part of the pupil for a brief instant after blinking until the lens shifts back into place. Some of the newer designs claim to stay in place better to combat this problem. Opaque contact lenses can be made with or without vision correction so that people who have perfect vision can still take advantage of the ability to change eye colors. These lenses, called Plano lenses, still require an eye doctor’s prescription, because in the U.S. all contact lenses are part of the purview of the Food and Drug Administration, which has declared that a prescription is necessary when ordering contact lenses online. Another just for fun type of contact lens is the special effect lens. These are available from numerous online retailers and are very popular for costume parties, Halloween, and going to clubs in some parts of the world. The special effects consist of outrageous colors, swirls, patterns, cat-eye pupils, starburst patterns, and even blackout and whiteout effects. The blackout and whiteout effects are made with what is called scleral lenses. They cover more than just the iris of the eye; they cover the entire visible part of the eye. They are only meant to be worn on special occasions for short periods of time. 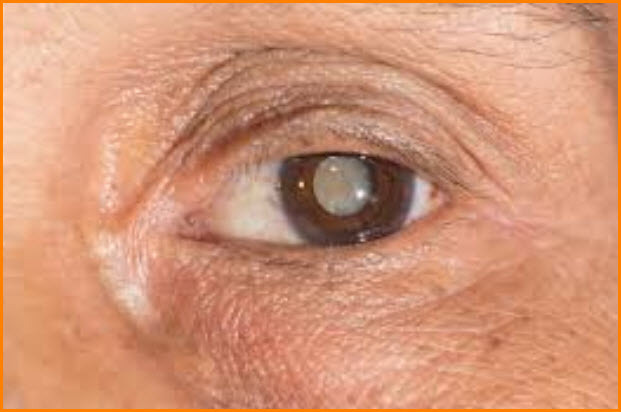 Scleral lenses had the contact lens side effects of irritation but extended to the entire visible part of the eye rather than just the iris and the cornea. Special effect contact lenses are generally made with no vision correction, though some companies will custom make special effects lenses with prescriptions for an extra charge and with the extra wait time. While contact lenses are manufactured and packaged under very strict conditions, the fact that they are inserted directly onto the eye opens up the opportunity for contact lens side effects. A speck of dust or a truant eyelash trapped under a contact lens can feel as irritating as a grain of sand. Proper cleaning and handling of lenses will minimize the possibility of a foreign object making it into the eye. Human error is almost always the cause of contact lens side effects, but there are people whose eyes simply cannot adjust to having a foreign object on them, and there are people with allergies to the materials the lenses are made from or the cleaning solutions that must be used with all contact lenses except for daily disposables. In 2006, Bausch & Lomb, one of the largest, oldest, and most respected makers of contact lenses recalled one of its contact lens cleaning solutions, Renu, when it was associated with an eye fungus called Fusarium keratitis. Of the patients with the infection, most wore soft contact lenses and reported using Renu solution on them. However, a few of the patients reported that they did not use Renu, and several patients said they wore lenses overnight, which is associated with greater risk of infection regardless of lenses or solutions. But contact lens side effects like the outbreak of Fusarium keratitis are extremely rare. Perhaps the main reason people wear contact lenses is that they feel like they look better in contacts than they do with glasses. They are also convenient and do a great job of correcting vision. Contact lenses can now correct vision problems that required glasses to correct in the past. In addition to nearsightedness, farsightedness, and presbyopia, contact lenses can be made to correct for astigmatism and can even be made into bifocal contact lenses for people who hate the idea of wearing bifocals. Another contact lens technique that can take the place of bifocals is what is called monovision. With monovision, one eye is corrected for distance vision, and the other eye is corrected for close vision. 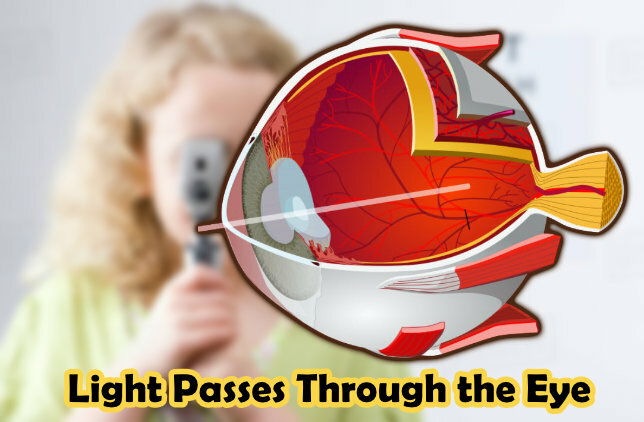 After the patient’s eyes adjust to the new vision correction, they report not noticing that the correction is different for each eye and that the brain compensates for it, allowing clear distance and near vision. The best candidates for wearing contact lenses include people who need correction all the time. People who wear glasses only part-time don’t always adjust to wearing contacts for extended periods. Potential contact lens wearers must be willing to commit to the time and effort of handling the lenses properly every time they are inserted, removed, and cleaned. People who play sports may find contact lenses superior due to the better peripheral vision compared to eyeglasses, and for reasons of safety. People who should probably not wear contact lenses include those who are unwilling to commit to handling and storing them properly. People who have trouble using their hands, in cases of arthritis or other conditions may find that contact lenses are not worth the effort. People with uncontrolled diabetes, asthma, and allergies may find it difficult to adjust to contact lenses, as will people who have naturally dry eyes. Those with chronic infections of the cornea are far more prone to experiencing adverse contact lens side effects. The fact is that millions of people worldwide wear contact lenses with no problems and no contact lens side effects. Anyone who is tired of wearing eyeglasses or who would like to see what they would look like with different colored lenses should consult their eye care professional about getting fitted for contacts. Chamomile tea has been used down through the ages as a natural remedy for anxiety and insomnia. Can it help diabetics too? 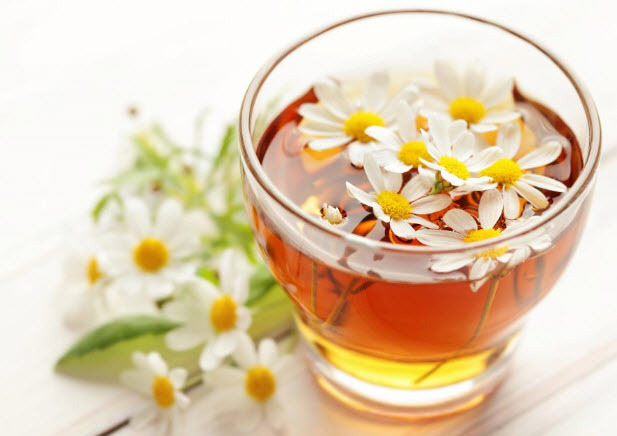 Chamomile tea has long been enjoyed for its health benefits. An infusion prepared from the leaves of this daisy-like plant has been used for ages to reduce anxiety and treat insomnia. Now, new studies show that drinking chamomile tea could also help to prevent diabetes complications in those with diabetes. Type 2 Diabetes is one of the most common diseases in this country with seven percent of the population being affected, and some don’t even know it. This disease which causes persistently elevated blood sugar levels can damage almost every organ in the body including the heart, kidneys, retina, and nerves. Diet is one of the mainstays of treatment for diabetes, along with medications and insulin, but there may be a reason for diabetics to drink chamomile tea more often. Health Benefits of Chamomile Tea: Does It Prevent the Complications of Diabetes? In a study published in the Journal of Agricultural and Food Chemistry, researchers gave diabetic rats an extract from the chamomile plant along with their regular diet. A second group of rats received no chamomile. Not only did the rats that received the chamomile extract have lower blood sugars, but they had lower levels of an enzyme called aldose reductase which converts glucose to sorbitol. This is important because when sorbitol builds up, it damages nerves, which can lead to diabetic neuropathy and diabetic retinopathy (damage to the retina of the eye). The health benefits of chamomile may go beyond stress and anxiety reduction – it could help to prevent the complications of diabetes too. Drinking chamomile tea is not only a stress reliever, but it may have anti-bacterial effects as well. Some studies show it reduces the risk of gum disease, which is another condition diabetics often suffer from. There’s no shortage of claims for the health benefits of chamomile tea, but not all of them are proven in humans. Drinking chamomile tea should be approached with caution since some people experience allergic reactions to the plant, especially if they have an allergy to pollen. Chamomile Tea to Prevent Diabetes Complications: The Bottom Line? Drinking chamomile tea may not have the same benefits as taking a chamomile extract since an extract contains much higher concentrations of the active ingredient. Chances are a person would have to drink lots of chamomile tea to get the benefits seen in this study. Plus, this was a study in rats and can’t necessarily be extrapolated to humans. Although chamomile extract is currently sold by vitamin suppliers, it’s safest to await further research. Hopefully, further studies will show benefits for humans too.